Kiara Brown had five kills and 13 aces, and Gabriella Morales added seven kills and four aces Tuesday as Valley’s girls volleyball team rallied from a two-set deficit to down host Eldorado, 17-25, 15-25, 26-24, 25-16, 15-12. Kiara Brown had five kills and 13 aces, and Gabriella Morales added seven kills and four aces Tuesday as Valley’s girls volleyball team rallied from a two-set deficit to defeat host Eldorado, 17-25, 15-25, 26-24, 25-16, 15-12. Kyla King had five kills, and Jessica Perez had five aces and five digs for the Vikings. Jonna White led Eldorado with three kills and five blocks. Kiana Parkes added four kills, two aces and 28 digs, and Ashley Alonso notched two kills, four aces and two blocks for the Sundevils. Arbor View 3, Legacy 0 — At Arbor View, Alyson Jeeves had 37 assists and six aces, and Sarah Goddard had 20 kills as the Aggies swept the Longhorns, 25-19, 25-22, 25-21. Alyssa Jeeves had 12 digs and two aces, and Trinity Chen supplied six kills, four aces and two blocks for Arbor View. Kamaile Mendonsa led Legacy with 29 assists, seven digs and three kills, and teammate Alyssa Fuller had 12 digs. Centennial 3, Las Vegas 0 — At Centennial, Danyale Berry had 11 kills, 12 digs and seven blocks, and Gabrielle Talavera added six kills, two aces and 10 digs to help the Bulldogs sweep the Wildcats, 25-18, 26-24, 25-18. Talie Bonds had 10 assists, three aces and seven digs, and Kaysha Clark had 16 digs for Centennial, which also got three kills and seven digs from Kanani Lasike. Skyla Faught had eight kills and nine digs for Las Vegas, and teammate Anna Dobbins added 21 digs. Shadow Ridge 3, Cimarron-Memorial 0 — At Shadow Ridge, Kizzy Rodriguez had 11 digs and seven kills, and Rachel Chambers added eight kills, four digs and two aces to help the Mustangs down the Spartans, 25-14, 25-23, 25-9. Stacey Hone had six kills, four digs and two aces for Shadow Ridge. Alexandra Payan had 18 digs and two aces for Cimarron, and teammate Logan DeLong supplied seven assists and five kills. Rancho 3, Canyon Springs 0 — At Canyon Springs, Taylor Ewing had four kills and eight aces, and Sam Pochop added eight kills and two blocks to lead the Rams to a 25-9, 25-18, 25-16 win over the Pioneers. Karime Raygoza had nine kills, and Leiana Nacapuy dished out 26 assists for Rancho. 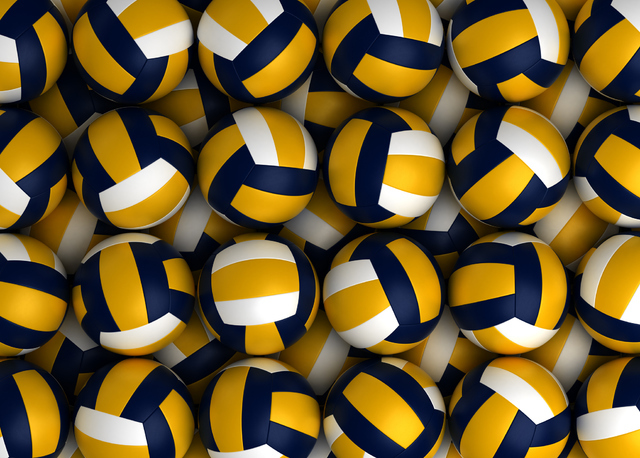 Mojave 3, Sunrise Mountain 0 — At Sunrise Mountain, Samantha Rebolledo had 16 digs and four aces, and Sua Estrada had 19 assists to help the Rattlers sweep the Miners, 25-18, 25-13, 25-9. Savannah Blanchard-Davis had seven kills, and Deja Boothe added four aces for Mojave. Daniela Robledo-Toribio had six digs, and Anahis Nava had four assists for Sunrise Mountain. Pahrump Valley 3, Cheyenne 0 — At Pahrump, Jill Smith had 13 assists and five kills, and Alexis Treib tallied 10 kills as the Trojans swept the Desert Shields, 25-3, 25-12, 25-19. Koral Hearn added six kills for Pahrump Valley. Eryuan McJoy had four kills, and Tia Echols added two kills for Cheyenne. Western 3, Desert Pines 1 — At Desert Pines, Crystal Gallaga had eight aces, and Nikki Riggs added seven aces to lift the Warriors to a 25-19, 25-13, 14-25, 25-21 win over the Jaguars. Jenessa Dunton added seven kills for the Warriors. Vira Tavita led Desert Pines with eight blocks and three aces. Meleane Ngaue added 12 digs and two aces for the Jagaurs. Calvary Chapel 3, Lake Mead 1 — At Calvary Chapel, Lexi Davis had 32 assists, and Sara Hernandez notched 10 digs and eight aces as the Lions topped the Eagles, 25-16, 23-25, 25-14, 25-12. Olivia Kaiser had 13 kills, and Malia Lee supplied seven kills and five aces for Calvary Chapel, which got six kills from Michalla Odem. Lincoln County 2-2, Mountain View 0-0 — At Panaca, Hannah Lytle had a total of 17 digs, 10 assists and three aces to lead the Lynx to two wins over the Saints. Cameron Lloyd added 12 digs, five kills and seven aces for Lincoln County, which won 25-14, 25-16 and 25-18, 25-16. Kailey Kelley had eight kills and seven digs, and Brooklyn Hafen had seven kills and nine digs for the Lynx. Needles 3, Laughlin 1 — At Needles, California, the Mustangs topped the Cougars, 25-20, 25-16, 22-25, 25-21.